Greetings, brave writers! With one week left until the start of National Novel Writing Month (NaNoWriMo), now seems like a perfect time to go over some last-minute tips. 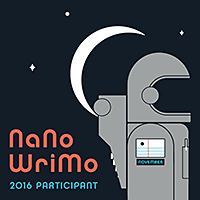 Whether it's your first or tenth time participating in NaNo, it never hurts to be prepared. First, some background: The idea of having a month dedicated to writing a novel started back in 1999 among a small group of friends, but it caught on so quickly that within just a few years, hundreds of thousands of people were participating. The goal of NaNo is to write 50,000 words in the month of November, and the mass appeal stems largely from the positive community surrounding NaNo, as well as the mindset of "you don't have to write something good, you just have to write something." That takes off some pressure, but writing 50,000 words in the span of 30 days can still be daunting. If you're in the US and celebrate Thanksgiving during November, that can make it seem even more unlikely that you'll have the time to knock out so many words. But it can be done, and it can be a really positive, fulfilling experience if you keep a few things in mind. Sitting down and thinking I have to write 50,000 words might overwhelm you. Instead, think of it this way: you only need to write 1,667 words each day to meet that 50,000-word quota. That's really not so bad! NaNo offers some widgets to help with keeping track of your word count so you don't need to waste valuable writing time on that, and they also hold daily "competitions," if that's a good motivator for you. It's okay if you don't hit 50,000 words on November 30th. Really. Plenty of people continue on into December, and no matter how many (or how few) words you write, it's better than zero. If you're feeling stuck on a scene, don't panic. Remember that you can always skip that scene and come back to it later. If you're set on writing it, try looking around for inspiration: take a walk, talk to a friend, or use a writing prompt generator. And when in doubt, check out the NaNo forums. You'll find nothing but encouragement and sympathy there, plus plenty of ideas to get your creative energy flowing! No, really. Make sure you're well rested (or at least try to be). Go out with your friends, watch a movie, read a book. If you let NaNo consume you for the entire month, you'll feel miserable and will dread sitting down to write every day. Balance is important; set aside time to write, but don't neglect yourself to do so. 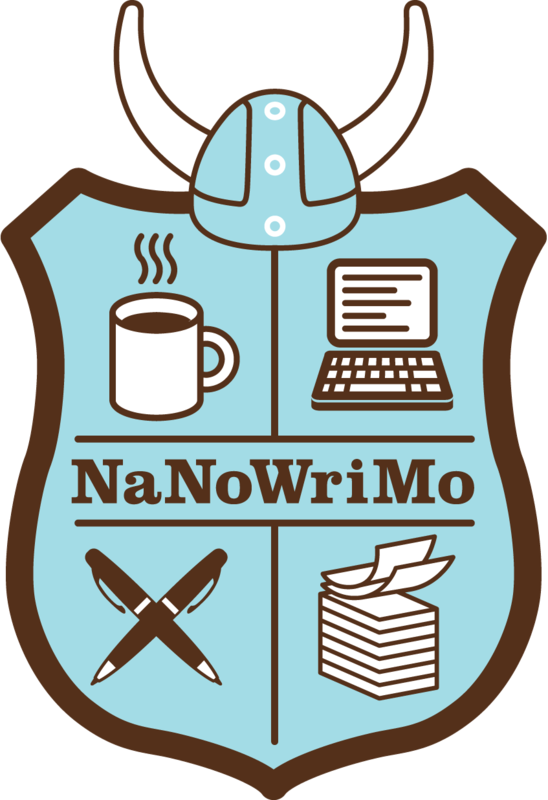 I already mentioned the NaNo forums, but if that's not your thing, give Twitter a try. Some of the most popular hashtags to check out are #nanowrimo, #nanowrimo2016, #amwriting, and #writing. For advice and encouragement, follow the #nanocoach hashtag. In October, #nanoprep is a big one, and in December and January, #amediting skyrockets. However you cope with the challenge of writing 50,000 words in a month, we're rooting for you! At the end of the month you'll have the start to a shiny new novel down on paper—or maybe even most of it!—and when you're ready to take it beyond the roughness of a first draft, we'll be here to help. Many writers dream of receiving a glowing letter from their editor. What can be better than expecting criticism and receiving endless compliments instead? So, I've written you the "perfect" editorial letter—and you don't even have to pay me! If you're looking for adulation, feel free to fill in some details more relevant for your story and print a copy. [MANUSCRIPT TITLE] was simply a pleasure to read! I haven't read such an engaging and well-written [GENRE] novel in far too long—including published ones, not only drafts. Right away, [MAIN CHARACTER]'s voice captivated me, and it remained consistently engrossing throughout. Compelling and relatable, [she/he/they] [was/were] developed so fully that I was entirely immersed, temporarily living in [his/her/their] mind[s]. I forgot myself as I read, your words sweeping me along. The story itself was filled with unexpected plot twists that kept me reading late into the night. I literally couldn't stop myself! You had me alternately holding my breath and [LAUGHING/CRYING/TERRIFIED (depending on genre)], as your characters leapt off the page and pulled me into their world. And that world! Every detail was vivid, perfectly fleshed out without being overbearing. I can picture [MAIN SETTINGS] as easily as if I had albums full of photos in front of me, and yet your prose flowed flawlessly, never bogged down by unnecessary details. Of course there was the stray typo or occasional repetitiveness in your word choice, but nothing that cannot be easily fixed. Those rare moments are all marked in the text. Overall, I am incredibly impressed by the caliber of your work, and I cannot wait to read more from you! I'm certain readers will be as captivated as I was, and I am honored to have gotten an early glimpse of such a magnificent book. Now be honest: does your draft deserve a letter as glowing as that one? In the vast majority of cases (allowing for one or two impeccable geniuses out there), the answer is "no." 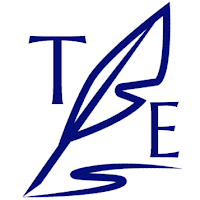 The fact is, the editorial letter doesn't exist to provide endless praise and compliments. Rather, like the more in-depth editing that often accompanies it, it is there to help you pinpoint problem areas in your plot and character development and to offer suggestions for improvement. The ultimate goal is to ensure your readers love your book, and for most writers, that requires the insight of a capable editor and the determination to work through multiple revisions. Our job as editors would be much easier if we could simply add manuscript-specific details to a template like the one above! Instead of taking the easy way out, reputable editors put in the time and effort to analyze writers' drafts, using their skills to help your stories reach their potential. Both Jennifer and I are committed to providing the honest feedback writers need to help transform their drafts into engaging, compelling novels. So that later, readers will give your hard work the rave reviews it will genuinely deserve. 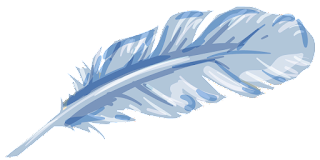 Are you ready to whip your manuscript into the best shape possible? The Touchstone Editors are here to help!